I just want to share with you and propose you to think about this quote by the american illustrator Bill Watterson. I can imagine our brain as a huge racetrack made of infinite small corridors and intersections where a lot of little little neurons run their way. An endless succession of choices made by emotions. How much different should be our life if we just change one of those? 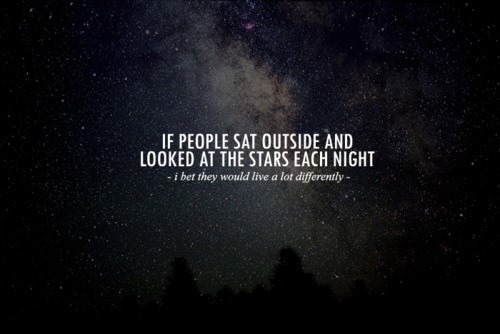 How much different should be our life if we seat outside and look at the stars each night?